5 Pocket Knives Specifically Made For Kids – Read Before Buying! Home General 5 Pocket Knives Specifically Made For Kids – Read Before Buying! So Your Child Wants A Pocket Knife? I remember being gifted my first pocket knife like it happened yesterday. A red classic Swiss Army that I carried for a large part of my adolescence. In case you didn’t know (although you probably do! 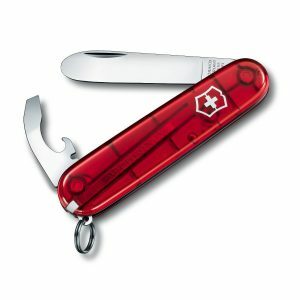 ), Swiss Army knives were very much the shizz in the 90’s. They were so popular you’d be hard pressed to find a kid your age without one. In a sense, one could say they were a fad, just like the fidget spinner craze happening this year. Oh the memories! Anyways, back to the topic at hand. You’re probably wondering “what pocket knife should I get my kid?”, and that’s exactly what I will be discussing. Later on in the post I will be providing a recommendation of my 5 favorite pocket knives for kids, but for now let’s talk about some considerations before buying. Here are 4 things you should think about! Below are 4 very important considerations you need to understand before buying. Understanding these will give you a better idea on what to buy, or even if you should buy! #1 Is Your Child Ready? Is your kid ready to safely use and own his/her own pocket knife? That’s a question only you as a parent will know the answer to. It’s important to sit down with your spouse and have an honest, open discussion about it. Pocket knives for kids may look harmless and innocent, but the truth is they’re not. Used incorrectly, a pocket knife has the potential to do some serious damage. If you determine that your kid is not ready, then don’t rush it. We all mature differently, and there’s nothing wrong with that. If you determine that your kid is ready, keep reading. Is Your Kid Ready? It’s Your Responsibility As Parents To Determine This! #2 Are You Ready To Lay Down The Law? One thing to consider are the rules, supervision, and guidance that will need to be implemented should you decide to give your kid a knife. I’ve seen parents who buy the knife and forget about everything; It’s the child’s responsibility to figure it all out. On the flip-side, I’ve also seen parents who are overly strict about the whole thing. My advice to you: don’t be either, be somewhere in between. First and foremost it’s important as parents to educate ourselves on knife safety, because the more you know the better you’ll be able to protect your kid. The video below explains 14 knife safety tips for both kids and adults; I recommend watching the video with your kid! And that’s knife safety 101. Watch it, re-watch it, and then watch it again! Next thing to consider is supervision and guidance. It’s up to you to determine how much supervision your child will require. Again, not everyone is the same and some kids understand the rules much faster than others. At the very least give your kid a demonstration on how to properly use a knife (use the video above if needed! ), and then supervise for the first 2 weeks of use. #3 Can You Make It Special? Favorite Color: When I was a kid I loved the classic white Swiss Army. We all have different tastes. Do you know what color your kid will love? Favorite Brand: Does he or she have a specific brand they prefer? If they do, be sure to account for this when doing your research! Favorite Style: Do they prefer a particular style? Personally, I was a huge fan of the multi-tool style. Back in the day the more tools your knife had, the cooler you looked! Personalize: Some knives have the option to personalize by having a name or message laser engraved onto the handle. Definitely worth considering! Make It Special By Picking Their Favorite Color! #4 Set Yourself A Budget & Don’t Forget About Warranty! Set yourself a budget and stick to it. Typically you can expect to pay anywhere between $15-33 for a decent knife. There’s no reason to be spending anything more than this in my opinion. Before buying, you should also check the manufacturers warranty; how long is the coverage, and what are the conditions? Keep in mind young kids are more likely to break and destroy things, so warranty is especially important. 5 Awesome Pocket Knives For Kids! Okay so you’ve decided it’s time for your kid to have their first knife! Below in my opinion are 5 of the very best pocket knives for kids in 2017. To help make your decision easier, I’ve listed what I like and dislike about each one. If something doesn’t make sense, please leave me a comment and i’ll do my best to find you the answer! Ahh yes the famous Swiss Army I can’t stop raving about. See it’s more than just a knife, it’s a timeless classic! There’s Not A Kid Out There Who Doesn’t Like These! 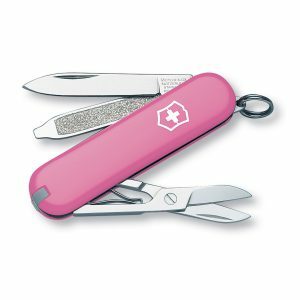 Designed specifically for the young user, this Swiss made multi-tool features a locking blade with a rounded tip to ensure additional safety. And that’s a huge deal, because as I said earlier…..safety comes first before anything else. A rounded tip may not cut as well, but at least your kid is at less risk from getting injured! You’re covered for life against any defects in material and workmanship should you choose to purchase this knife. Definitely a positive, as young kids tend to break stuff pretty easily! The closed length measures just about 3.34 inches, making this tool easy to store and carry. Why is that important for kids? Because you want something that they can easily throw into their jean or jacket pockets without being overly bulky. It’s perfectly sized for a starter knife! One of the only concerns I have with this pocket knife is the open/close mechanism. It takes a bit of an effort to pry open, and for a 7-10 year old kid this could be a problem. I imagine it would get smoother with time as the knife is broken in, so this is more a short term issue. Other than that, two thumbs up from me! A world apart from the Swiss Army we discussed in #1, this folding blade from Opinel keeps things awesomely simple! Opinel Round End: The Coolest Thing About This Is Its Simplicity! I Love That It Doesn’t Cost Me Much! Even though it’s relatively cheap (click here to check latest pricing on amazon), quality is top notch. 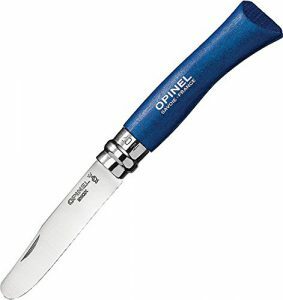 In case you didn’t know Opinel have been producing knives since 1890, and over the years they’ve mastered the craft. Blue, apple green, and fuchsia (which is basically pink the way I see it!) are the colors you can choose from. I’d pick the blue! A curved, rounded tip is a safety feature meant to ensure young users do not injure themselves by stabs or penetrative wounds. When looking at pocket knives for kids, rounded tips are typically one of the first things you should be looking for. Yes you will sacrifice sharpness as a result, but that’s nowhere near as important as keeping your kid safe (and by that I mean cut free!). The locking mechanism is just a tad bit complicated for a 4-5 year old kid to figure out. When the knife is open, you have to rotate the safety ring to the correct position to be able to fold the knife closed, and then turn the safety ring again to ensure the knife doesn’t open by accident when in your pocket. Definitely not a showstopper as most kids are smart enough to figure it out, but just worth noting. Not all kids are ready to own a “real” knife just yet. This is perfect for those kids! Theo Klein Toy Knife: Not The Real Deal, But Pretty Darn Close! Truth: not every child is ready to use and own a real steel knife. Some parents will accept this truth, and others will deny it. This is a perfect alternative for any kid who is not mature enough to handle a steel knife. It’s a stepping stone towards the real deal! In addition to being a safe alternative, this also makes for a great educational tool. Since the device consists of a fully functional plastic spoon, fork, and knife, you can teach your child about knife safety and the proper way to use a pocket knife. If I Got This As A Kid, I’d Be Fuming! Put yourself in your child’s shoes for a moment and think of how you’d feel about being given a fake knife. If I got this as a kid I’d be annoyed, but that doesn’t mean there’s anything particularly wrong with the product per se. All kids have different maturity levels and based on that, they may or may not like this. It’s up to you to figure it out for your kid. Good luck! Slightly different from the Junior in #1, this 8 function multi tool is perfectly tailored for a 6-10 year old! 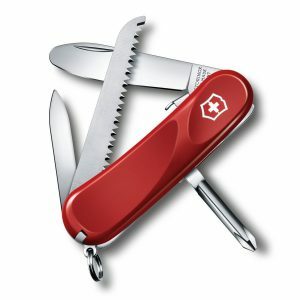 My First Victorinox: Another Awesome Swiss Army Knife! You’re probably wondering what the difference is between this and the Junior we discussed in #1. One of the biggest difference is that this has a total of 8 multi-tools as opposed to the Junior’s 7. They both have a large rounded blade, screwdriver, key ring, tweezers, and a toothpick. So what’s different? This one has a bottle and can opener (and a wire stripper) instead of the Junior’s nail file and saw. Don’t know about you but when I was younger, opening bottles is one of the main things I used my pocket knife for! 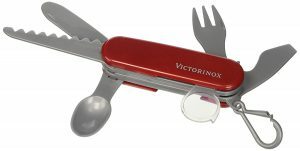 Having said that, I prefer the multi-tools on My First Victorinox compared to the Junior. Lanyard & Chain Add A Nice Touch! Included as part of the package is a red lanyard and chain. I think this is pretty cool, as it allows kids to wear these around the neck, or even hang them from a pocket. An added bonus in my opinion! In my opinion, this is the coolest looking kids pocket knife currently available. But that’s just me, beauty is in the eye of the beholder, so you decide! The only drawback with this product is the inability of the blade to lock in place during use. When talking about pocket knives for kids, locking blades are kinda a big deal. Why? Simple. A blade that is locked in place is very unlikely to snap close while being used. It’s basically a safety feature to prevent injury. Officially licensed by the boy scouts of America, this surgical steel pocket knife is for the older, more experienced kids only. Case Mini Blackhorn: A Great Choice For More Experienced Users! Featuring a surgical stainless steel blade and a lightweight synthetic handle, the Case Mini Blackhorn weighs a measly 1 ounce! This makes it easy for kids to carry, especially when going on a hunting, camping, or scouting trip. Simply toss it in your trouser/jean pockets or string a lanyard and wear it around the neck, or even attach it to a key chain. The fact that it’s lightweight makes it more manageable and comfortable for kids. For A Boy Scout Knife, It’s Pretty Darn Sharp! Earlier in the post I said round ended tips are the first thing you should be looking for in kid’s pocket knives. Just to make it clear, my stance remains unchanged. Unlike the 4 we’ve already discussed, this is a knife for the experienced user only. In that sense, it’s not a first or starter knife. If your child has demonstrated over time that he/she is capable of using a knife in a safe and effective manner, then and only then should you consider buying them this. Just a heads up….the drop point blade is pretty darn sharp (no rounded tip). In case you didn’t know Case knives are made in the USA and handcrafted by skilled artisans, so you can expect top notch quality. Also, the knife is backed by a limited lifetime warranty. Just me being overly critical, but one thing some kids may not like about this is that it’s nothing more than a knife. 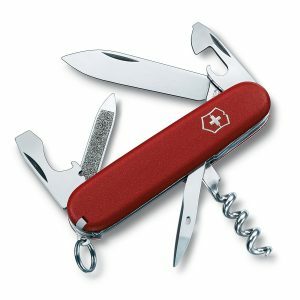 Unlike the Swiss Army styles, it has no additional multi-tool features. Is this something your child cares about? If not, then you’re golden! Alright, so that concludes our discussion on pocket knives for kids. But there’s one very important thing I want you to always remember: you have control over your kids safety. You can choose to have open discussion, or completely ignore the topic altogether. My recommendation is to be proactive and do your due diligence by informing your child about the potential safety concerns associated with knives. Teach your kids the right way, and you’ll reap the benefits down the road. Next week i’ll be writing a post about knife safety and kids, so stay tuned! In the wrong hands, knives can be used to take lives. In the right hands, knives can be used to prepare a meal to nourish the poor. What are your favorite pocket knives for kids? Do you have different favorites from the 5 above? If so, leave a comment and let us know! Finally if you enjoyed reading, a share would be hugely appreciated. Enjoy your weekend, and till next time!